As strikes begin across South London to defend library services, come to our public meeting to hear the latest on the fight for libraries in Lewisham and to get involved with our campaign. Please invite your friends on facebook and share our event. The national Speak up for Libraries campaign will be holding a lobby in Westminster next week. 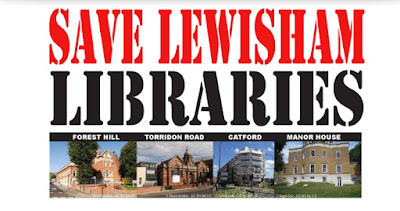 Save Lewisham Libraries now has a Facebook page. Give us a 'like' for all the latest news here.